We round up the latest Liverpool news and transfer rumours on Friday, on the eve of the Reds’ Premier League clash with Crystal Palace. The boss was on typically insightful form at Melwood. “There’s a lot to come”. Mixed update on long-term absentees. Having Trent back would be a huge boost. The club are on fire at the moment! Klopp looks for a favour from post-Wagner Huddersfield. Harry Wilson & Ovie Ejaria face off in Championship clash. The ‘Spygate’ row surrounding Leeds United manager Marcelo Bielsa has dominated the headlines in the last week, after he admitted to spying on opponents’ training sessions in order to gain an advantage. 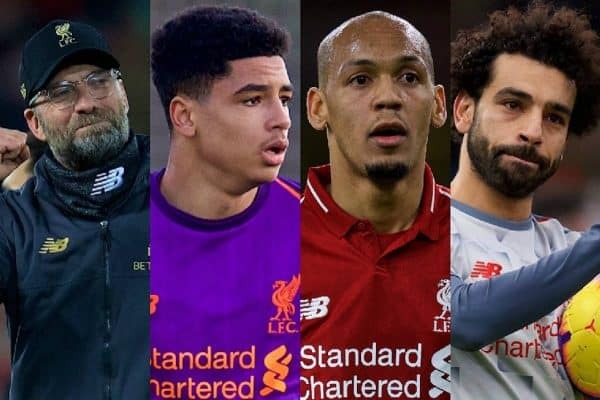 Jurgen Klopp was asked about it during his pre-Palace press conference on Friday, giving a typically honest assessment of the situation, saying: “He is an outstanding coach and role model for so many: when I came I didn’t see 51 games of Derby. Liverpool installed privacy “curtains” at Melwood during Brendan Rodgers’ time at the club, and Klopp was quick to point out that is exactly what they’re for. While much of the outrage has been hyperbolic – some have called for Bielsa to be sacked – Klopp is spot on, as usual. 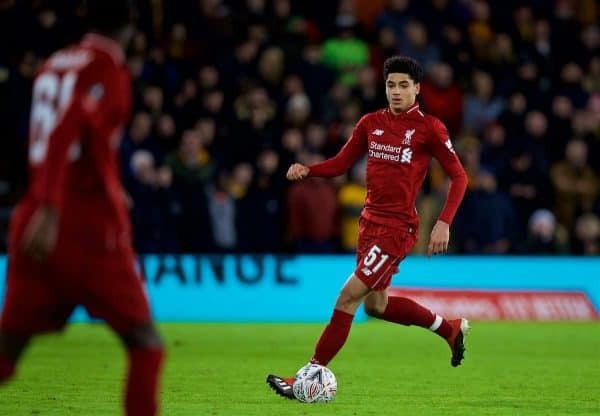 Liverpool are not planning on handing Ki-Jana Hoever a professional contract in the near future, according to the Evening Standard‘s David Lynch. The defender celebrates his 17th birthday today – the age at which a professional deal can be awarded – but the report states that the club are in “no rush” to nail him down. “You turn 17, life should be really cool. Everything will be fine. Liverpool rate Hoever extremely highly, however, and both the Reds and the player see his long-term future at Anfield. 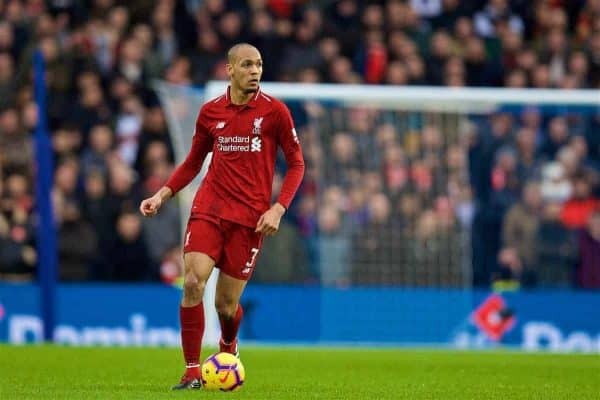 Fabinho is expected to start against Palace at the weekend, whether that be at centre-back or in his preferred midfield role. The Brazilian won Ligue 1 with Monaco in 2016/17 and he hopes to take that winning mentality with him into the business end of this season, as Liverpool look to seal Premier League glory. “It’s true that I did well in that league but it’s a different league,” Fabinho told Liverpoolfc.com. “We won the league; I think it helped me for the future, as is the case now. “We have to take things game by game. Our next ‘final’ is against Crystal Palace and we really have to treat this game as if it were a final. 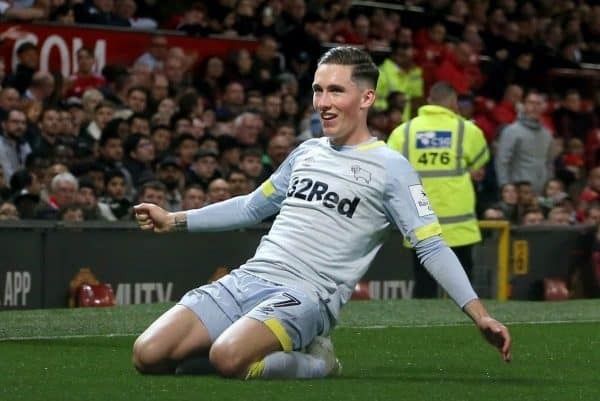 Harry Wilson will remain at Derby County until the end of the season, according to the Derby Telegraph. There had been some fears from the Championship outfit that the 21-year-old may return to Liverpool this month, with a release clause in his contract allowing to Reds to recall him. That won’t be happening, though, with Frank Lampard no doubt a relieved man, as his Rams side look to earn promotion to the Premier League. Wilson has been one of the Championship’s star performers this season, scoring nine league goals, the vast majority of which have been Goal of the Season contenders. 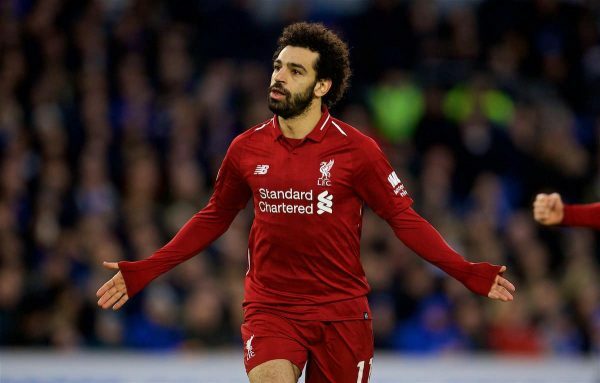 Palace left-back Patrick van Aanholt may not come in direct contact too often with Mohamed Salah on Saturday, should the Liverpool man lead the line in a 4-2-3-1 formation. “It’s my time to shut him down and make sure he doesn’t score or play well. “If we can beat Liverpool like we beat City then I’ll be very happy. As well as the front three, they have (Xherdan) Shaqiri and (Daniel) Sturridge so it’s going to be hard but we’re capable of doing it. Van Aanholt’s forays forward could be a key outlet for Palace at Anfield, as he attempts to dovetail with Wilfried Zaha down the left flank. 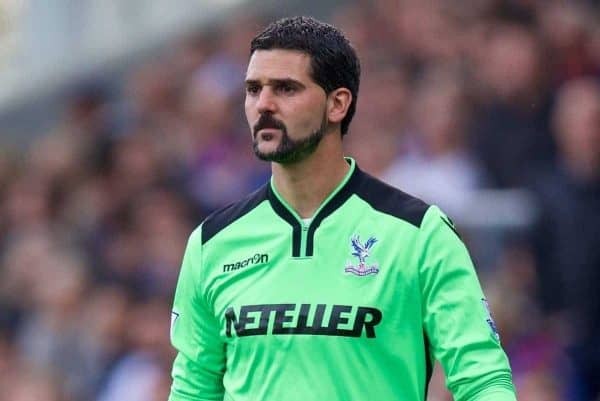 Roy Hodgson has confirmed that 39-year-old goalkeeping veteran Julian Speroni will start for the Eagles at Anfield, having not featured for over a year. “Speroni is likely to start. He’s a good goalkeeper so we’re much more fortunate than many clubs to have a goalkeeper of his quality and experience as third choice,” Hodgson told reporters. Both Vicente Guaita and Wayne Hennessey are out injured, forcing the former Liverpool manager to play the Premier League‘s oldest player. Will he have a blinder, on what could be his last-ever game for Palace, or will he prove it is time to hang up his boots? According to the Times, “the biggest change to the handball law for 80 years” is set to be introduced. While only deliberate handballs are currently deemed an offence, the new rule will see accidental ones penalised, too, should the ball be goal-bound. The International Football Association Board (Ifab) is expected to announce the change at a meeting in March. What are your thoughts on the change? 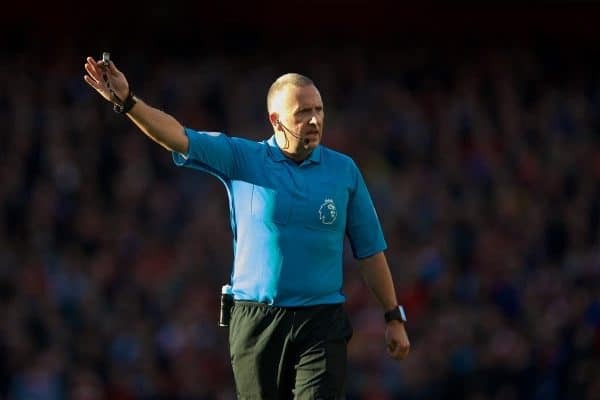 A good move, or making life tougher for referees? 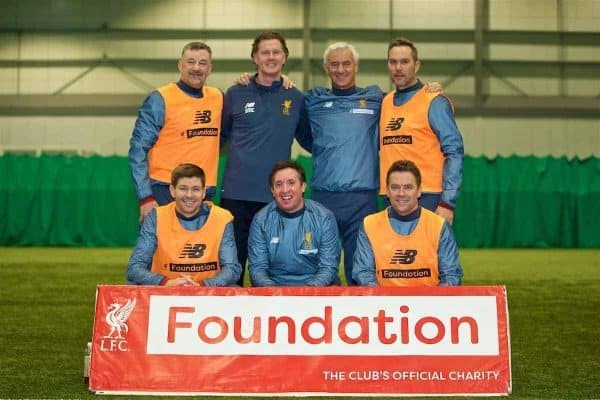 LFC Foundation, Liverpool’s official charity, has revealed that another venue has been added to its Open Goals programme. Garston will become the 10th location across the city from January 19, providing free games and activities for locals, in particular young families. More information on Open Goals can be found here.